The Parish is steeped in history. It was situated in the south west corner of Windsor Forest, an area which mainly consisted of heath with sections of woodland. The Forest became popular with the kings of England for hunting and sports, starting with the later Saxon rulers. It was William the Conqueror who built Windsor Castle. The church of St Michael’s and All Angels in Sunninghill is of Saxon origin, probably dating back to 890CE. The first building was a wooden structure which was replaced around 1120CE by a stone church. The two notable estates in the area from the 14th century onwards were Eastmore and Sunninghill Park. Eastmore eventually became Sunninghill Manor, and later it was known as Silwood Park. Meanwhile, Sunninghill Park was an area of Windsor Forest which was enclosed during the reign of Richard II to allow the monarch sole use of the area for hunting. Henry VIII signed one of his first documents as king at Sunninghill Park. The local population was still very small by the time of Elizabeth I’s death in 1603. There were small clusters of people living in Cheapside, Upper Village Road and Wells Lane. The Thatched Tavern in Cheapside retains some of its ancient 16th century timbers. The parish was arguably first put on the map when the Sunninghill Waters (off Wells Lane) became an attraction around the start of the 18th century, probably because Queen Anne took the waters there. This was closely followed by the founding of the racecourse in 1711 on the East Cote (now Ascot). This project was the brainchild of Queen Anne who was keen on horse riding and hunting. Her buckhounds were kept on the site of what is now the Old Huntsman’s House. Hence, we have Kennel Avenue (off the Windsor Road) and Kennel Ride. It was around this period that the gentry started to build large houses in this area, starting in Sunninghill, and eventually spreading to Ascot. A number of celebrated individuals have lived here at various times. Thomas Holloway, a successful businessman and philanthropist who was responsible for the building of the Royal Holloway College in Egham, resided at Tittenhurst Park in the second half of the 19th century. Subsequent owners of that property have included both John Lennon and Ringo Starr of The Beatles. The railway arrived in Ascot in 1856, providing easy access to London. This attracted race goers and people to the area. 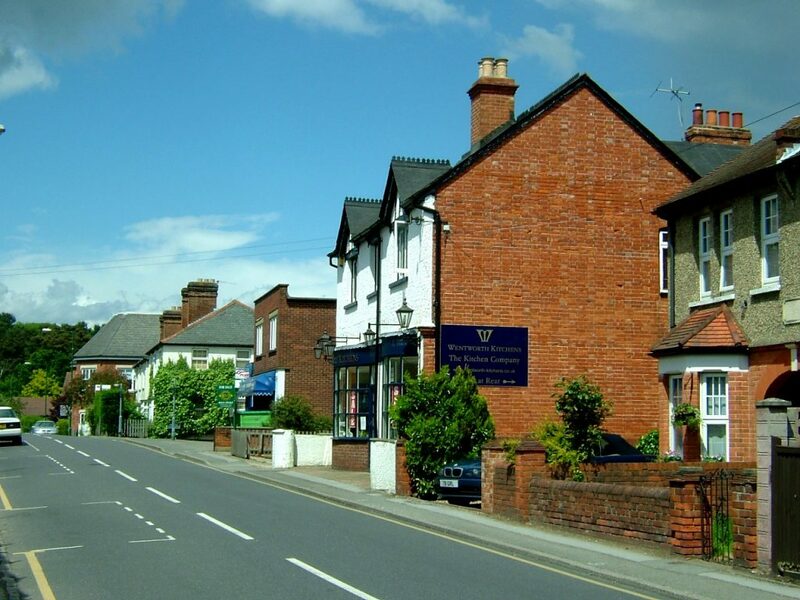 Sunninghill subsequently grew as a busy, thriving High Street and the village still retains the narrow streets and cottages of the Victorian era. At the beginning of the 20th century the widow of Thomas Cordes, the last Lord of the Manor at Silwood Park, built Cordes Hall in Sunninghill and bequeathed it to the community. In 1920 a Picture House was specially built by the Ranee of Sarawak next to Cordes Hall. It now houses the Novello Theatre. In Ascot the Old Courthouse was built in the High Street in 1851, also housing a police station. It was followed in 1902 by the Fire Station, which is now a tile shop. Heatherwood started life as a hospital for the treatment of TB in the 1920s, becoming a general hospital when the NHS was established in 1948. Residential development In South Ascot after World War II included road names which have an association with Lewis Carroll. The Rev. Liddell father of Alice (in Wonderland) lived in the area. You will find Carroll Crescent and Liddell Way on what is now the Bouldish Farm Estate. If you are interested in local history, books can be found in Ascot Durning Library, some of which can be purchased in Chapman’s, the Ironmongers in Sunninghill. Other histories can be found on the Internet, including A Potted History of Sunninghill and Ascot.